Not everyone survives the fury of a tyrant. Paul Schneider stood in line with other prisoners at Buchenwald concentration camp. It was April 20, 198, Hitleers’ forty-ninth birthday. In tribute all prisoners were ordered to remover their berets and worship the Nazi flag. All at once men began to venerate the flag, except for Paul. Paul stood tall while the others bowed. Nazi soldiers grabbed Paul, and whipped his back twenty-five times with a leather ox hide whip. He was also punished for failure to worship. It takes courage to stand up to an evil power. Think of a time in your life when you stood up to a person who was doing something you morally opposed. What was the outcome? I’ve counseled people who lost their jobs when they went to their bosses to talk about unethical business practices. I’ve sat with people who felt abandoned because they wanted to maintain a pure relationship before marriage. I’ve seen the struggle students experience living for Jesus in a world that doesn’t honor that decision. Things don’t always work out the way we think they will when we stand up for what is right. Our church is currently studying the book of Daniel (it's a great read)! In Daniel 3 we learn about three men who refused to bow to a powerful king. There were six men in the crowd who stood tall while everyone else bowed (Daniel 3:8-12). We don’t have all the details to accurately reconstruct the seating chart but it appears the astrologers had a line of sight on the six knees that didn’t bow, while the king didn’t. These astrologers might be mad that these three Jewish men took their jobs twenty years ago and they may have been waiting all these years to find something against them. Today is finally the day they will get their vengeance against these men who worship the Lord. Let me be clear; Shadrach, Meshach, and Abednego could have bowed and saved themselves, but they would have spoiled it for the rest of the followers of God. Their standing tall was out of respect for God. Let me show you how easy it would have been for these men to avoid this situation they currently find themselves in. The music plays, each man drops a coin, they bend down to pick it up, wait for the music to end, and they are fine. But these are men of character and integrity. These are the kind of men who stand to worship God. They are like Dietrich Bonhoeffer who refused to stand around while a tyrant led with fear. As we all know, tyrants don’t take too well to disobedience (read Daniel 3:13-15). In this chapter we read again that Nebuchadnezzar made the image of gold. He was trying to set up a false god. We also read a third time about the blazing furnace. This is fear-based leadership. Fear-based leadership doesn’t care for others, but uplifts self. But the king recognizes these men. They serve in his royal court. Nebuchadnezzar has some compassion because he offers them a second chance to live. He offers them another opportunity to bow down to the image. The whole crowd is watching this go down. How will these men respond? They could have bowed their knees but not their hearts. They could have reasoned that everyone was doing it, so they should just do it. They could have gone with self-preservation over living for God but they refused. They basically say, “Save your orchestra fee, we will stand for God.” This was a first commandment principle for them; they were dedicated to putting God first in all areas of life. Their decision is resolute. They don’t waiver in their commitment to God. They also remain respectful to a king who is furious. Their desire, their longing in life, was to honor God and they couldn’t accomplish that by bowing to a massive gold statue. I think verses 17 and 18 are the crux of the entire story. They know that God has the power to save them from death. They also know that God may not choose to save them. God may allow them to be martyrs and they are comfortable standing for God rather than bowing to an image made by human hands. Their heart’s desire was to obey God. This should be our heart’s desire too! Our heart’s desire should be to obey God but all too often it isn’t. All too often we bow a knee to the false gods of our day. This week on Facebook I asked people to tell me what distracts them from God. Within an hour I had over thirty responses. People sharing about how social media, their phone, their job, their kids, being busy, work around the house, culture, busyness, TV, confusion, pain, laziness, stress, and bad priorities are some of the things that keep us from God. I think that many of us echo those distractions. It is easier to check our phone than listen to God. It is easier to watch TV than to read the Bible. It’s easier to sleep in than to wake up and spend time with God. But these three men removed distractions in their lives so they could live fully for God in the face of death. This morning, will you make a commitment to be like these men? 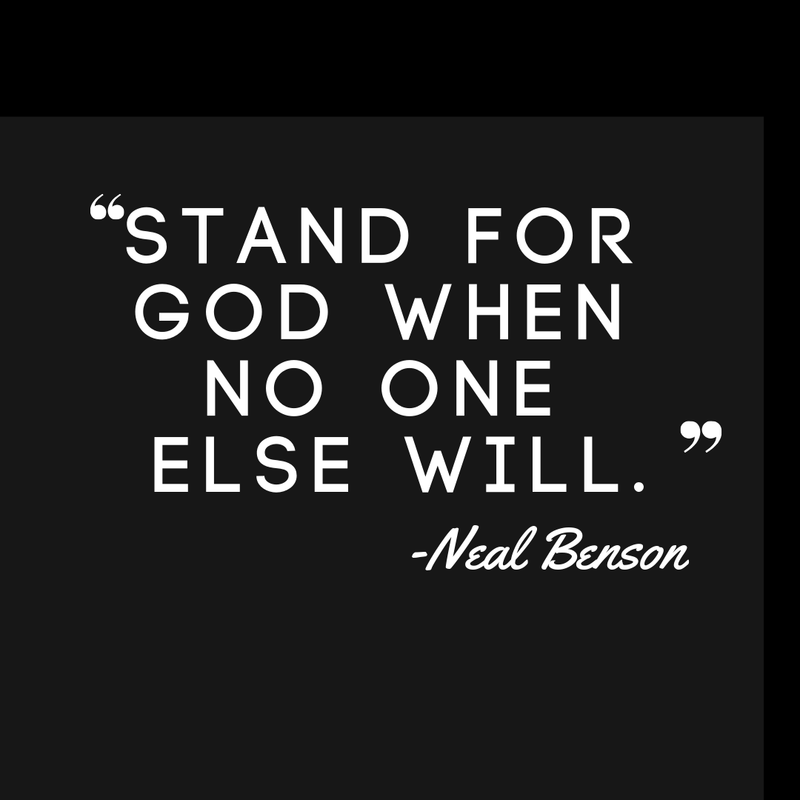 Commit to: stand for God when no one else will. There are times it will seem easier to bow than to stand. There are times you might get distracted like the rest of us. But standing for God is infinitely better than bowing to a false God. Their decision is in defiance to the king. The king asked, “What god will be able to rescue you from my hand?” Their response is, the Lord our God. You might know how the story ends, but listen again about the compassion of God (Daniel 3:24-25). The front facing opening of the furnace gave Nebuchadnezzar a front row seat to the greatness of God. There were four men walking around in the oven, unbound, and the fourth looks like a son of the gods. There is some question as to who the fourth man is. Maybe God sent an angel to protect these men. My heart wants to say, “This is Jesus Christ!” But I don’t have enough Scriptural evidence to say that with complete confidence this morning. We have to remember not to get our theology from king Nebuchadnezzar. I wonder how many people went home that afternoon and examined their lives. The crowd had to leave thinking, “I want to know more about this God who saved these men.” This story is about a God who can save. Daniel three is about three courageous men who stood for God when everyone else bowed down to the tyrant. We see the care and compassion of God displayed in this story. We see the love, tenderness, and protection that God provides to those who stand for Him. Did you know God has a plan for your life and He wants you to stand for Him today. 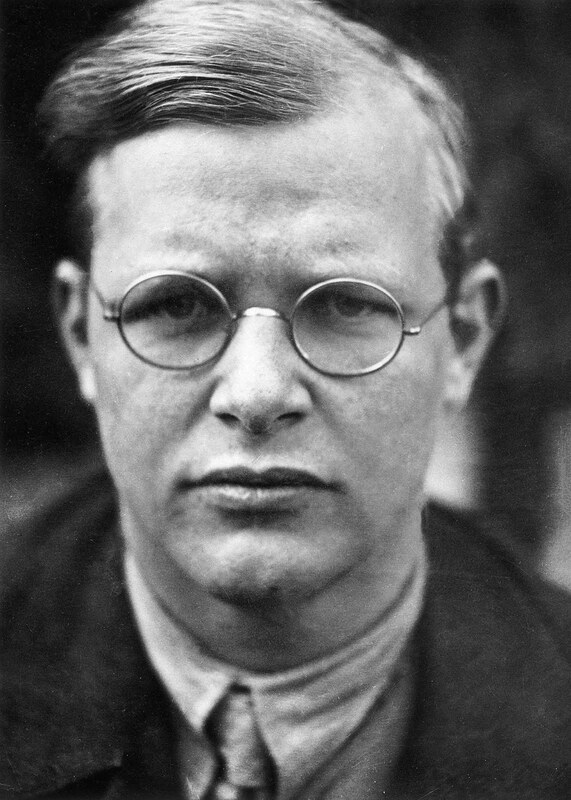 In 1906 Dietrich Bonhoeffer was born in Germany. He was one of eight children and in his teens decided to be a pastor. He trained in seminary, preached, and taught college courses. He eventually studied in America but when Hitler rose to power, Dietrich was compelled to speak against the Nazi party. His defiance to Hitler made him a target of the Nazi regime and he was forced to keep his mouth shut. But he refused to be silenced, and he shared secret knowledge with the outside world in attempt after attempt to stop Hitler. He signed up with the German secret service to serve as a double agent. While traveling to church conferences over Europe, he was supposed to be collecting information about these locations but instead he helped Jews escape from Germany. Bonhoeffer was a pacifist but knew that something had to be done about the unfair capture and torture of Jewish people. Because of this, he became a part of a plot to overthrow, and later to assassinate, Hitler. Bonhoeffer played a role in two failed attempts to assassinate Hitler. The secret service began closing in on him and other double agents. Finally, he was arrested in April 1943 by the Gestapo and imprisoned at Tegel prison for one and a half years. Later he was transferred to a Nazi concentration camp. After being accused of being associated with the plot to assassinate Adolf Hitler, he was quickly tried, along with other accused plotters, and then executed by hanging on April 9, 1945, as the Nazi regime was collapsing. He was thirty-nine when he lost his life standing up for God. His body was never recovered as it was thrown into a pile with others who stood up against Hitler’s regime. There are times it might go well, on this earth, and times it may not. 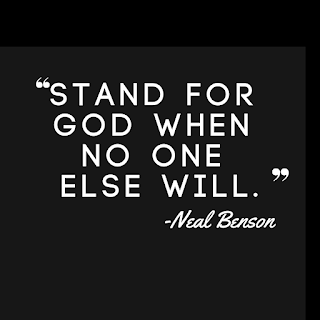 But the goal of our life is to stand for God when no one else will.